npm WARN package.json range-parser@0.0.4 No repository field. npm WARN package.json fresh@0.1.0 No repository field. npm WARN package.json methods@0.0.1 No repository field. npm WARN package.json methods@0.0.1 No readme data. npm WARN package.json cookie-signature@1.0.1 No repository field. npm WARN package.json pause@0.0.1 No repository field. npm WARN package.json bytes@0.2.0 No repository field. 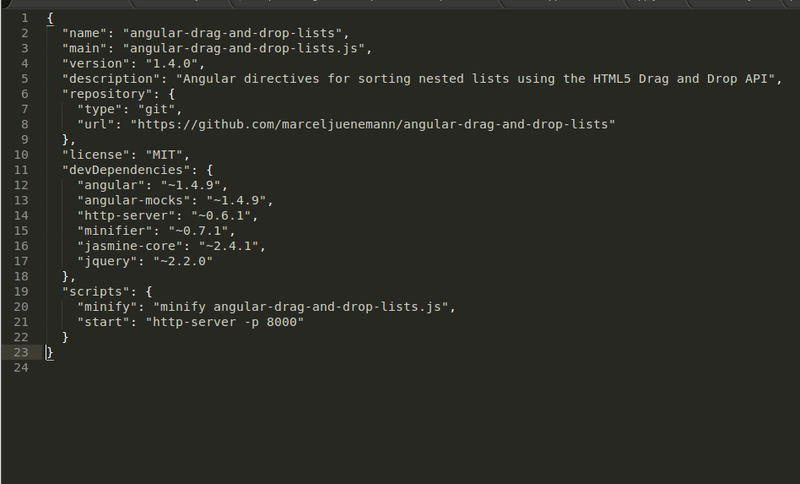 npm WARN package.json assert-plus@0.1.2 No repository field. I'm new to Node.js and Express.js. Why do I have the above warnings? Should I be worried? It's just a check as of NPM v1.2.20, they report this as a warning. However, don't worry, there are sooooooo many packages which still don't have the repository field in their package.json. The field is used for informational purposes. Read more about the repository field, and see the logged bug for further details. Additionally, as originally reported by @dan_nl, you can set private key in your package.json. This will not only stop you from accidentally running npm publish in your app, but will also stop NPM from printing warnings regarding package.json problems. you can also mark the application as private if you don’t plan to put it in an actual repository. Update: This feature is undocumented and might not work. Choose the following option. By adding private, you don't need to link to a repo. npm WARN project.com@1.0.0 No repository field. Not the answer you're looking for? Browse other questions tagged node.js express npm or ask your own question.